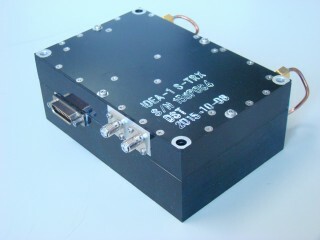 DSTRX-1 is S-band transponder developed for small satellite application with support of NESTRA and Tokyo University. Main features of this transponder are low mass and low volume and low power consumption. Optional diplexer can be mounted and it can save volume. Flexible design architecture can meet various transponder requirements.